Well, I first saw this on Kickstarter in October 2015 and it sounded like a great idea for someone like me who travels through London every day constantly getting my card out to swipe through the gates at the train then the tube and sometimes the bus too. Estimated delivery was stated as April 2016, and well over two years later and some nagging via email it finally arrived at my door January 2018! So we had a bit of a bad start….but I have gone straight out and put it to the test and thought I would share my experience good and bad so that others can get a bit of information if they are looking at buying this product. I must say the packaging looked amazing and when you open it looks very smartly presented. 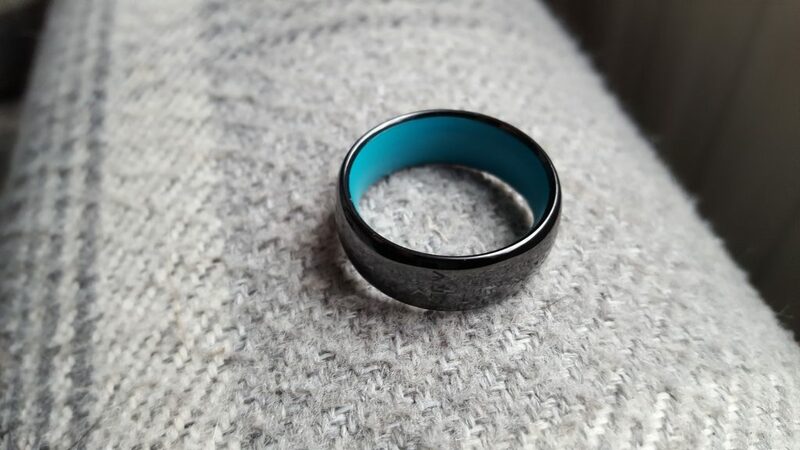 The ring looks nice and smart, feels smooth and weighs hardly anything. 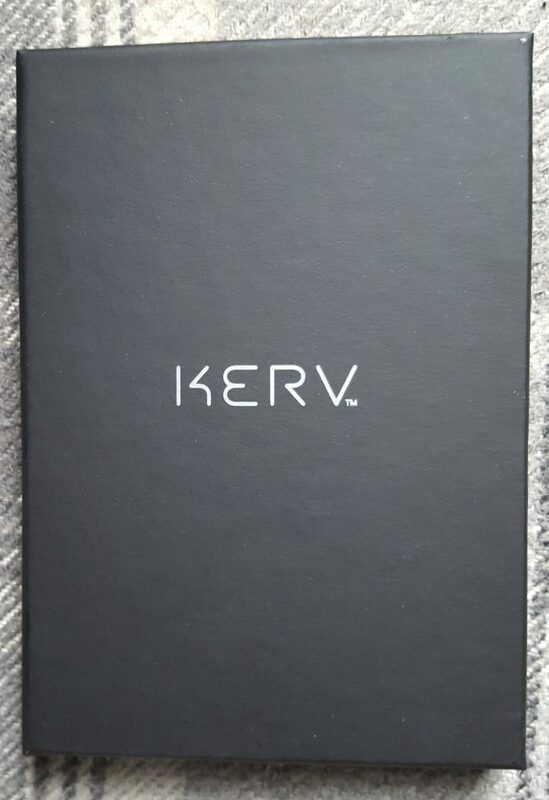 Generally I like it and the fit was perfect as measured using the Kerv sizing chart. 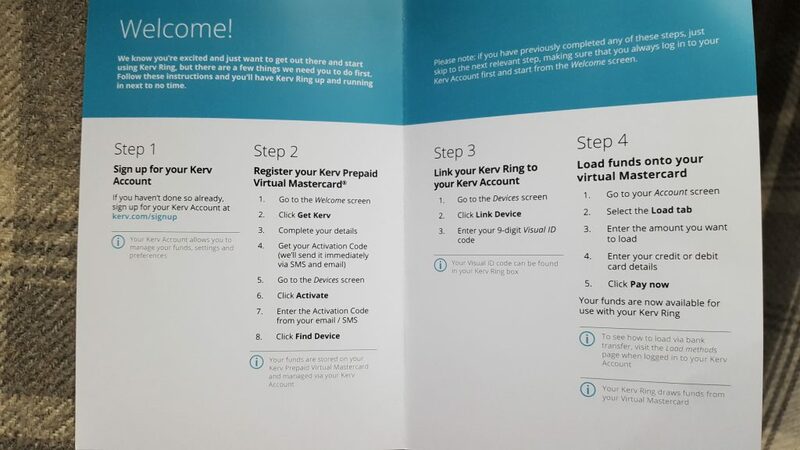 The box came with a set of instructions to set up your online account, associate it to your ring, then set up a virtual mastercard and add some money to get started. I found it very easy and was up and running in no time. I went straight for the auto top-up feature which is a bit of a pain as the lowest value is £30 to trigger an auto top up and the lowest value you can top up with is also £30 so every time it tops up you could have £60 on there waiting to be spent. I’d prefer if it were smaller values but there you go. So I jumped straight in and tested it on my route to work. There is a contactless reader into the train and out the other side then a reader into the tube and out the other side, I hovered it over the first reader wondering if anything was going to happen and ping, it worked! It was a little slower than I was expecting but worked none the less. The other readers it was roughly the same but the last one it came up with the dreaded “seek assistance”. I stepped back and let the other people through then took it off and put the ring directly on the reader and it worked again. This led me to think I was using it wrong, if only I had read the instructions properly! On the way home it was pretty much the same as above, when I got back I opened the instructions and there it was….It says clearly on the instructions how to use it and I had been doing it differently like a prize turnip! Well, this time fully prepared I approached the first reader and this time using the correct hand gesture it picked it up really quickly similar to using an actual card on the machine. I continued all the way to and through London and back again and it picked it up on every single one no problem at all. Was very impressed. One of the main problems I found is that (at the time of writing) you cant use it with your TFL account to see journey history, payment history or to claim a refund. They do give you a virtual MasterCard number including the CVV number but if you put that into the TFL website it doesn’t pick up the data. 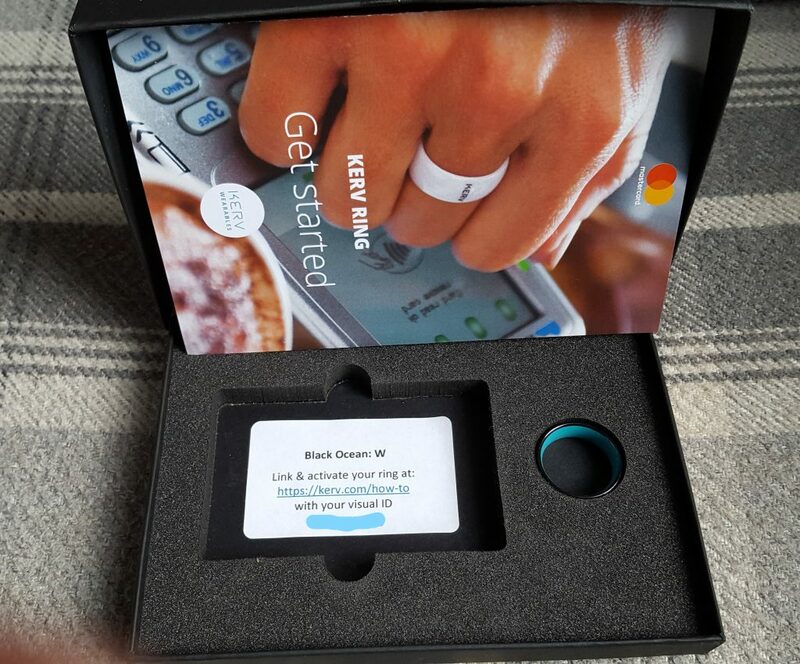 This is because the chip in the ring has a separate card number but unfortunately they don’t give you that number on the website or anywhere else. I contacted support on this one and they said they are working on it and will update me when they have something. Support were very responsive and helpful in general, I first had a lot of contact with them as I was a Kickstarter backer and had the long delay I mentioned, they replied every time within 24 hours and did update me on progress. I do wonder if I would ever had received the ring now if I had not contacted them. 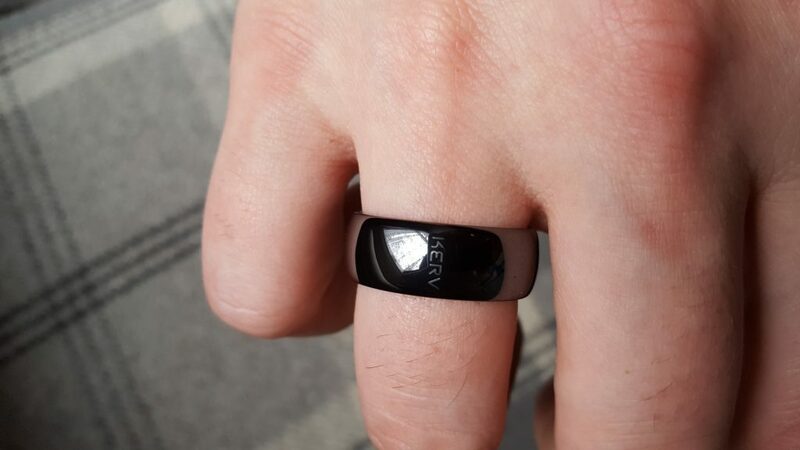 A good device if you don’t mind wearing the ring when you are travelling and don’t like getting your card out constantly. Use it properly on the reader and it will reward you by working as designed. 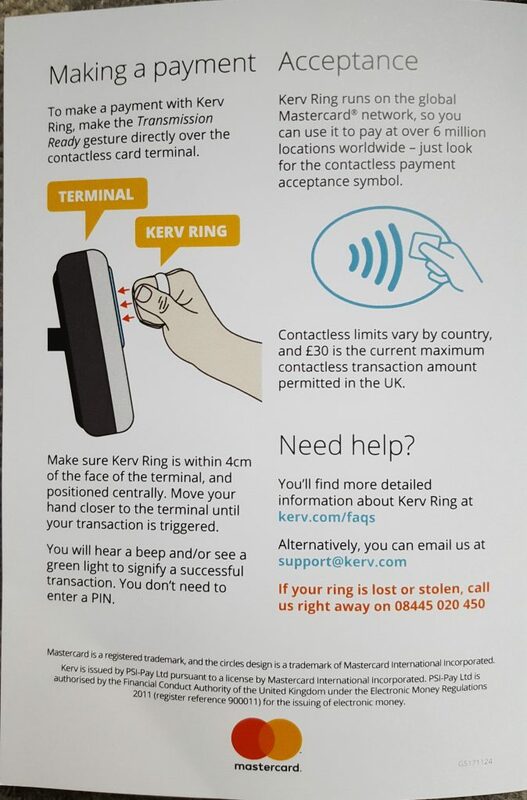 I have fingers crossed that they will get the device chip number sorted for integration with the TFL website but even without that its a good gadget to show off and save you time. does it work in the stares?